One item that I really enjoy making for gifts or craft fairs are funny mugs. Here in Seattle, it is unusual to find somebody who doesn’t drink coffee so everybody enjoys a coffee mug made just for them. I’m always looking for ideas on what sort of sayings to put on these mugs (besides simply the person’s name) so I’ve compiled a list for all of you! I love crafting with my Silhouette Cameo and using it to make fun items like this. 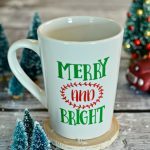 Amazon has lots of great blank coffee mugs for all of these projects, make sure to use Permanent Adhesive Vinyl so that the mug can last for years to come. I’ve made a few of these for summer and Christmas craft fairs. So many people read them, laugh, and talk about how much they relate to their everyday life. 🎶Oh what fun it is to ride and sing a sleighing song tonight! 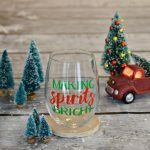 🎶 I’m pretty sure that “making spirits bright” is one of the most fitting Holiday themed wine glasses possible. I love how cute it turned out, and I hope that lots of people like it this weekend at my first craft fair of the season. Make sure to head over to the blog today to grab the cut file! 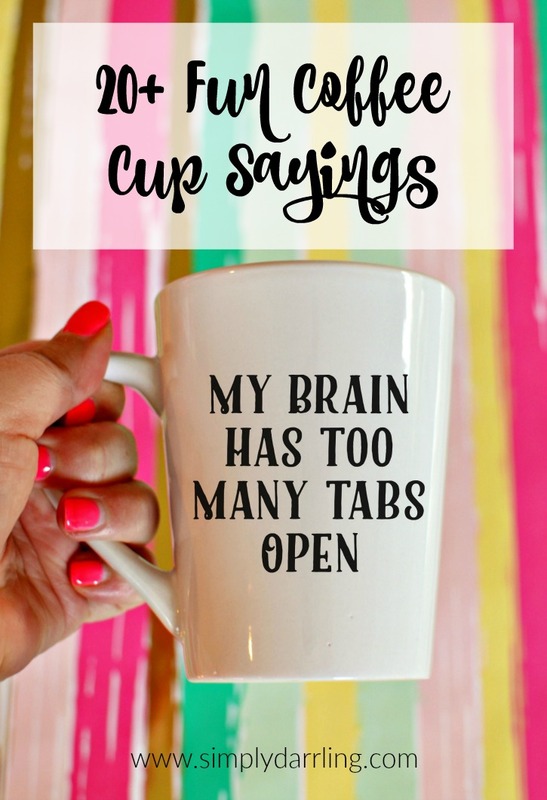 Brad always teases me about how many tabs I have open in my web browser so I think this will be the next mug that I make for myself. Although I also am always fighting with my auto-correct, so that could be a good one for me as well. During the summer, I make iced coffee to drink on my way to work. 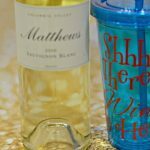 The tumblers I use have seen better days, and I am a bit excited about the possibility of making some new cups with fun sayings or images. 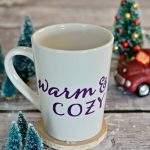 In addition to fun mugs to share your feelings with people around you, they are also great as part of a Christmas or housewarming gift. Add a couple mugs, some coffee beans, and maybe a few fun coffee accessories into a basket and it makes a perfect gift! They’re all so funny! I’d be so happy to get a mug with any of these sayings. Oh my gosh! I need so many of these! My brain definitely has too many tabs open and coffee definitely lets me be less Britney 2007. So funny! I think I’m going for #8. And the header picture. That’s my life. I can so relate! lol So many are great but, I love the tabs one. Thanks for sharing at the #InspirationSpotlight party @DearCreatives Pinned & sharing. Have a happy 4th of July. I love your sayings!!! I have a question: Someone put smaller/narrower letters on my Yeti cup. Is there any thin I can put on the vinyl that won’t damage my cup? Thanks for a solution!